Linda McCartney’s is once again celebrating National Vegetarian Week in style, with the return of the meat free eating extravaganza Linda’s Veggie Table! For our second year, we’ll be visiting Bristol 12th and 13th, May. Join us for one of our vegetarian cookery demonstrations hosted by the multi-talented Jay McGuiness – The Wanted star, vegetarian and keen cook who has his own vegetarian lifestyle book lined up for future release. Vegetarians, vegans and meat reducers alike will be invited to relax and mingle in Linda’s Lounge while enjoying a selection of delicious mocktails and meat free canapes, before Jay and the Linda McCartney’s in house chef take centre stage. 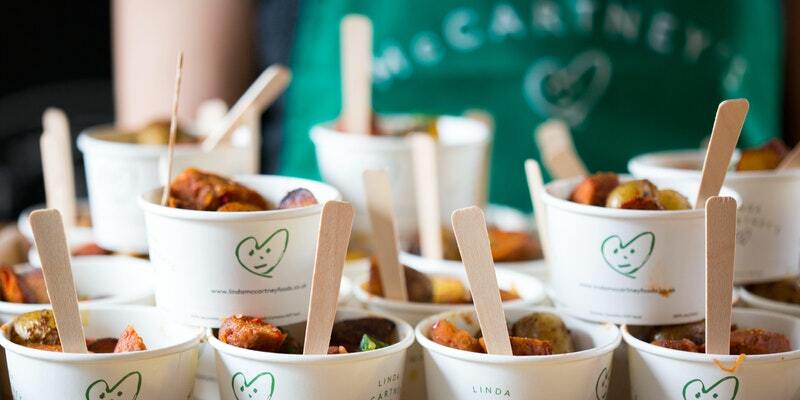 Those attending will each take away a selection of Linda McCartney’s goodies, and there will also be a chance to win a special prize of Linda McCartney’s product, giving the lucky winner the perfect opportunity to get creative in their own kitchen.